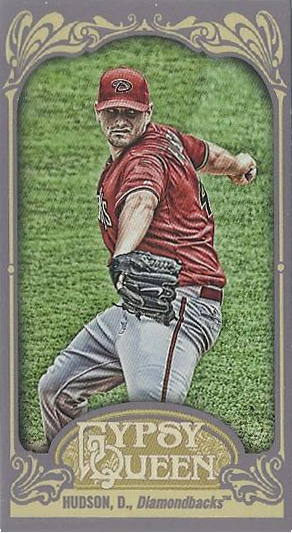 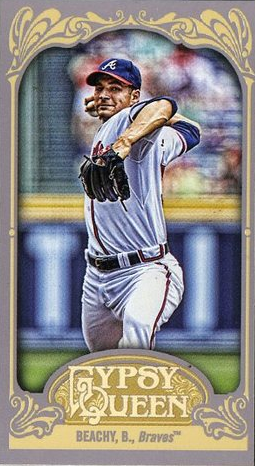 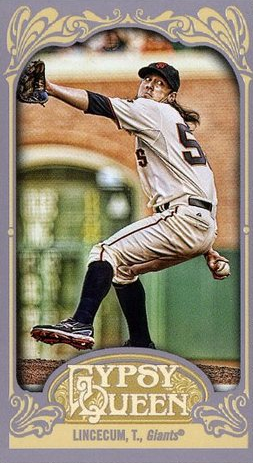 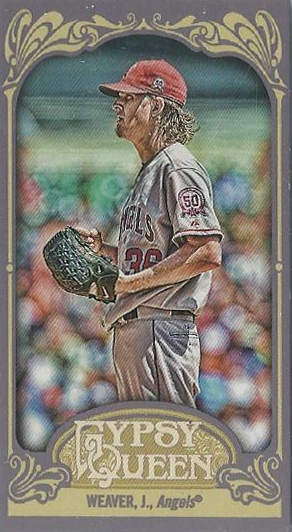 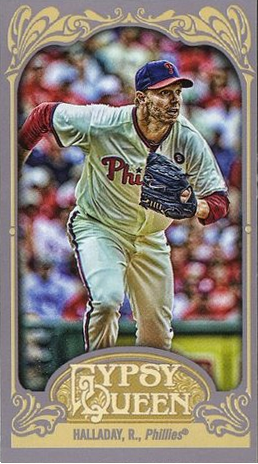 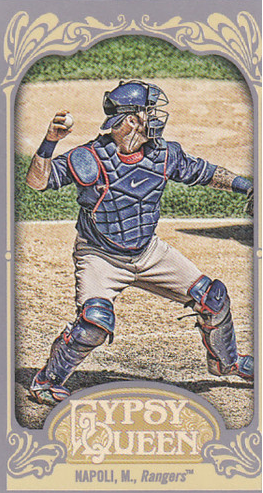 We have already released the Complete Visual Checklist for 2012 Topps Gypsy Queen Baseball Cards SP Photo Variations of the base set. 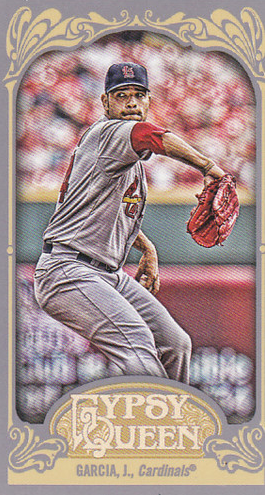 That list was 50 cards long, 51 if you include the Yu Darvish SP. 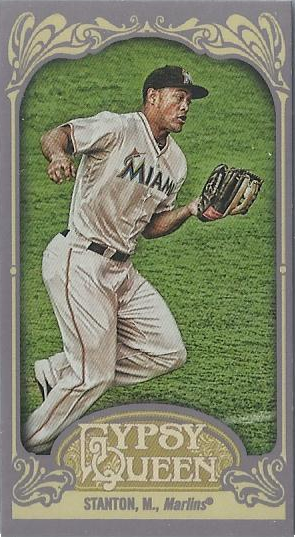 So one would expect the same for the minis in the set, but the structure of the mini set is very different. 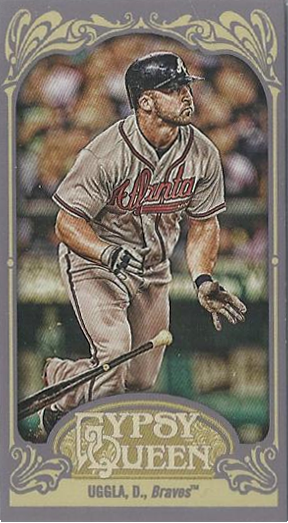 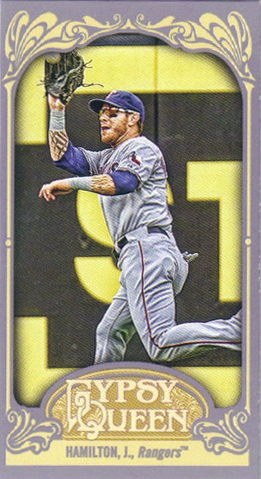 There are 50 additional minis, numbered 301 to 350, that are parallels of players included in the 300 card mini base set and not found in the regular base set. 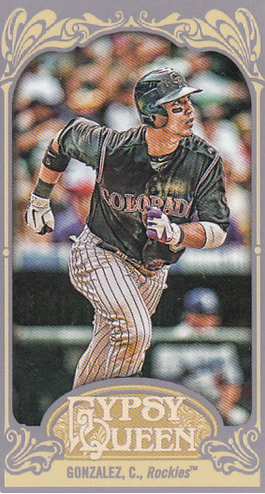 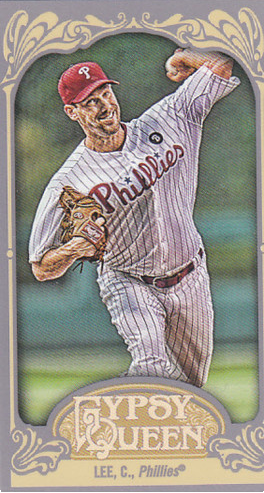 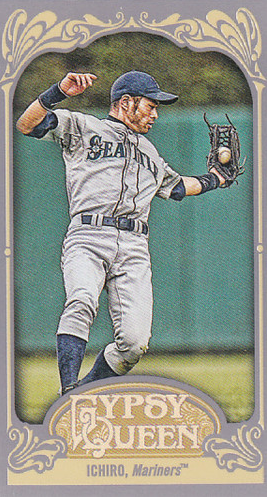 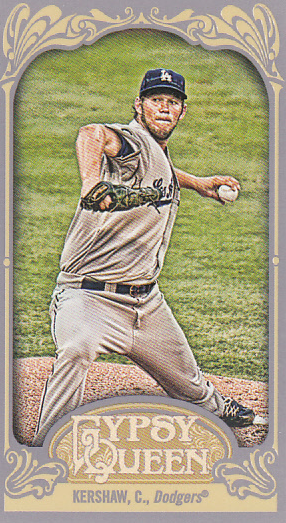 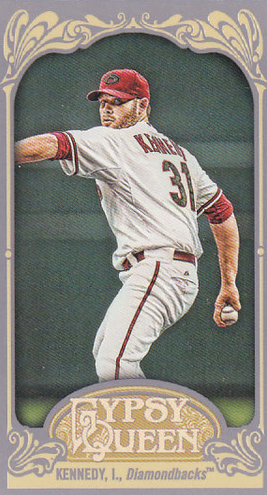 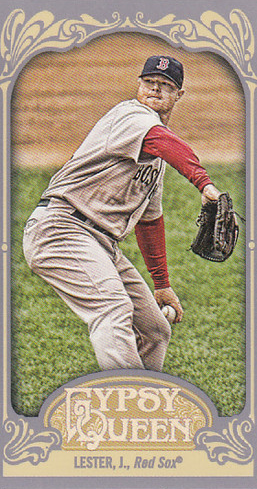 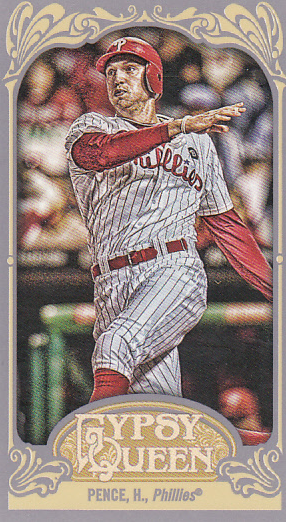 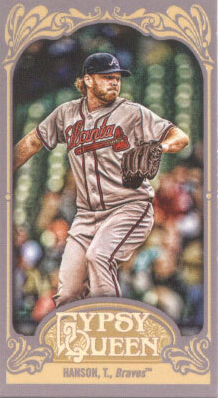 There are also 91 mini SP Photo Variations, 41 more than found in the regular base set. 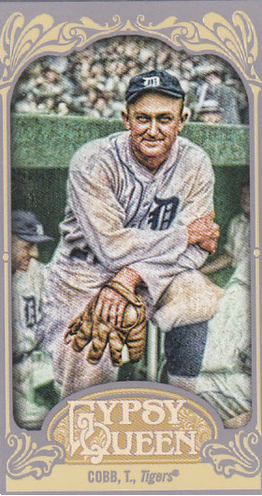 The vast majority of them are clearly different photographs like the last card in the set, Number 296. 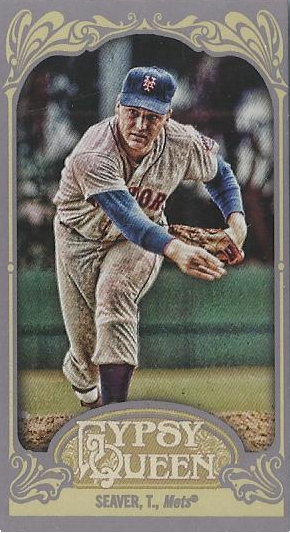 On the left is card #296 from the base mini set, Tom Seaver. 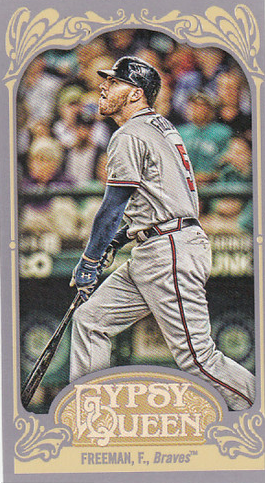 On the right is the Mini SP Photo variation. 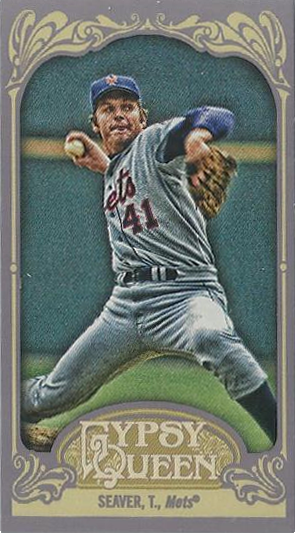 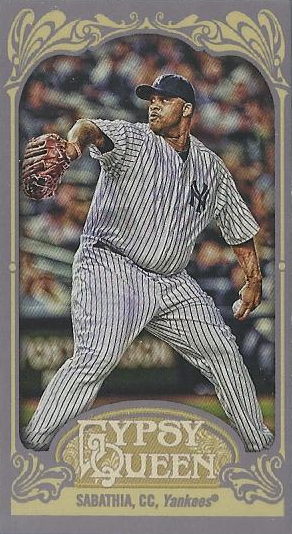 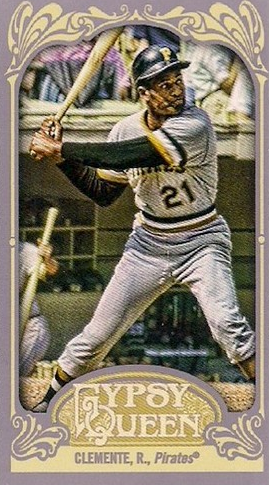 There were some tricky cards to spot in the base set photo variations like the uniform changes with CC Sabathia and Reggie Jackson. 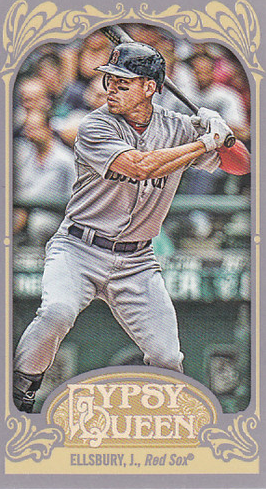 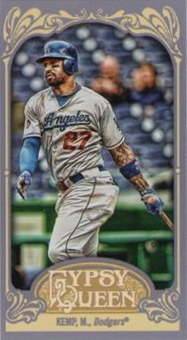 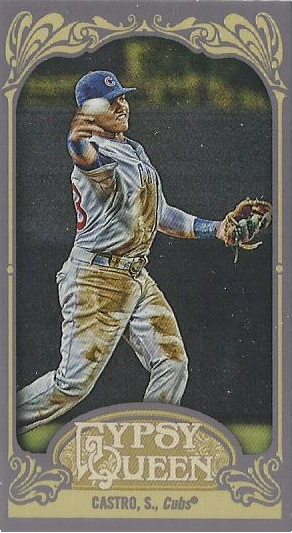 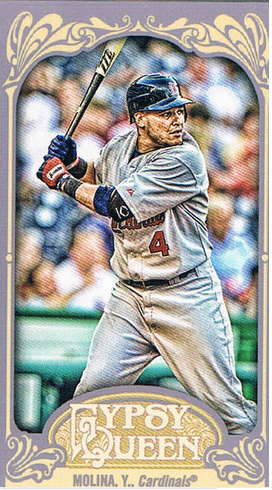 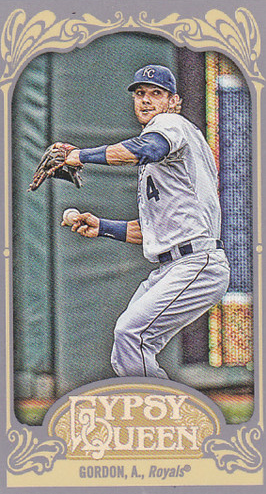 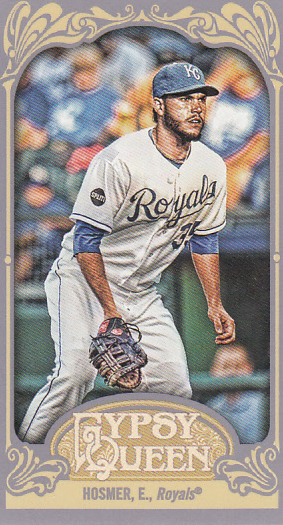 Those images are identical in the Mini set so if you want to see a side by side comparison, head over to our base set SP Photo Variation page. 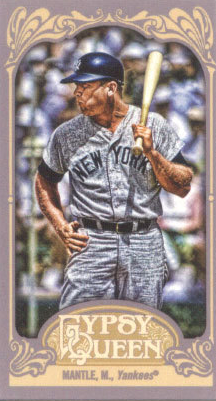 The three other cards that were hard to see differences in even side by side were Joe DiMaggio, Wade Boggs and Tony Gwynn. 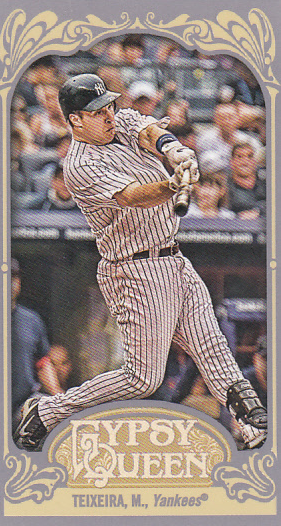 In the mini set, 2 of those 3 still require close inspection. 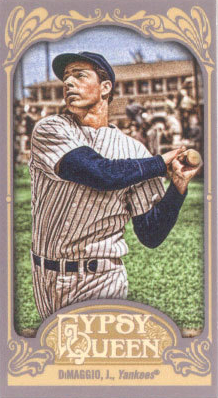 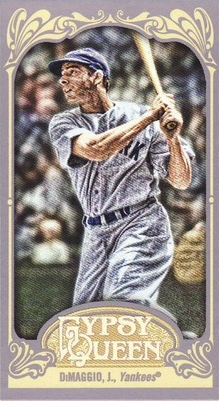 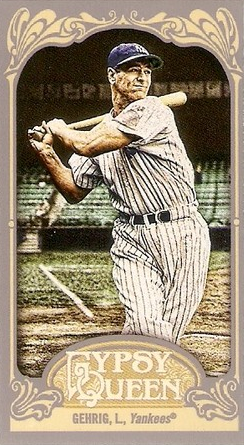 On the left is card #232 from the base mini set, Joe DiMaggio. 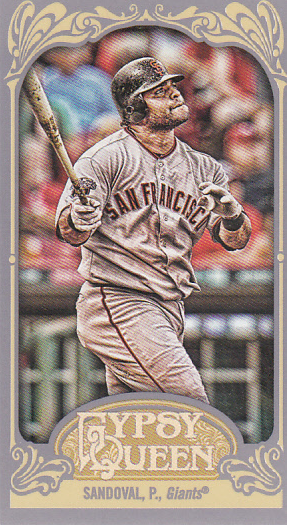 On the right is the Mini SP Photo variation. 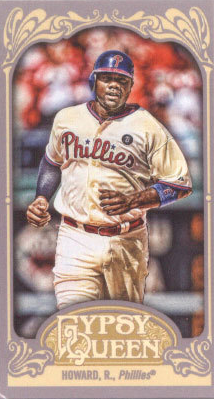 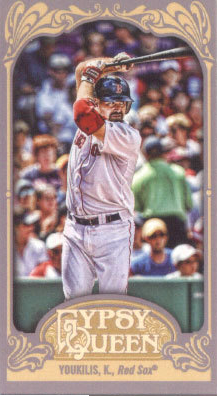 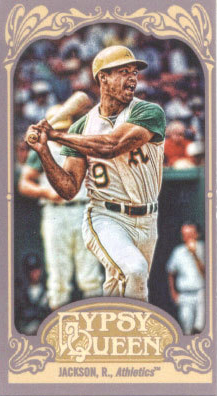 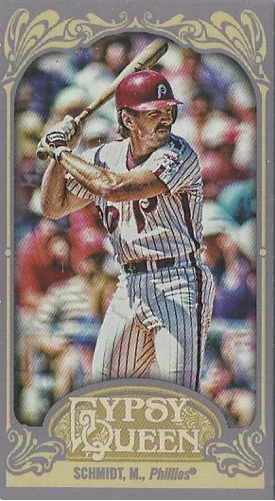 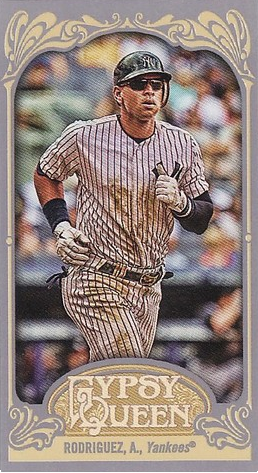 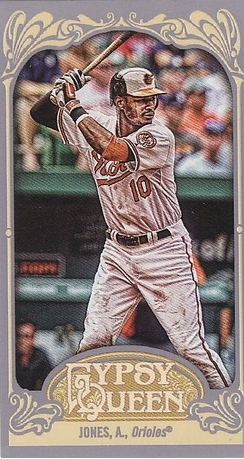 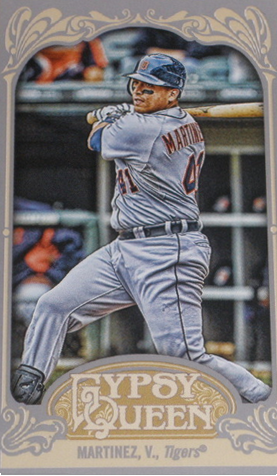 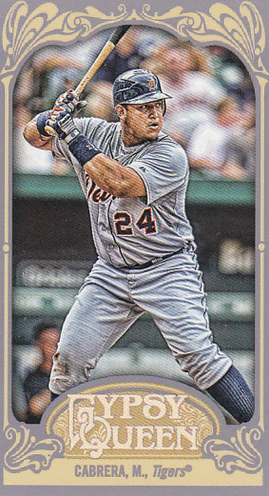 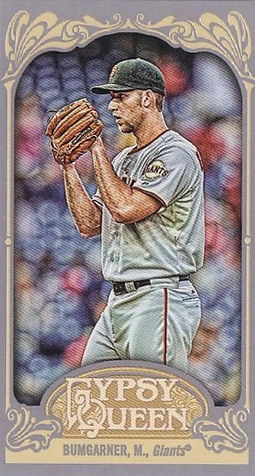 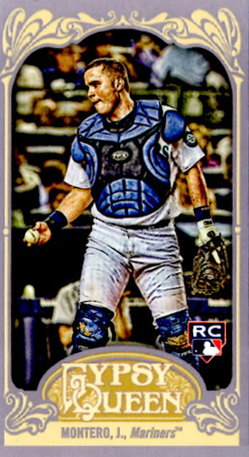 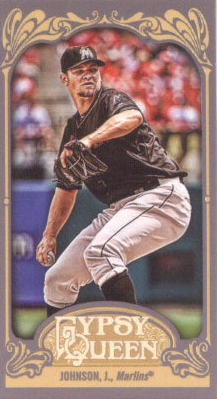 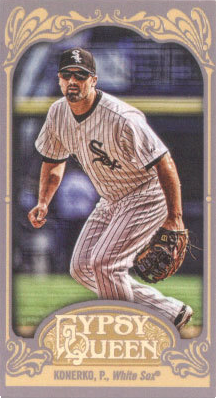 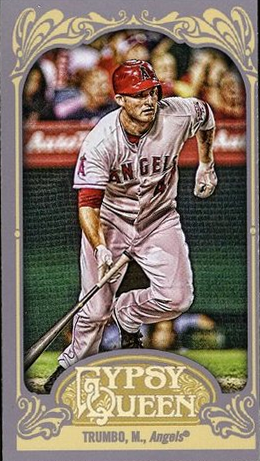 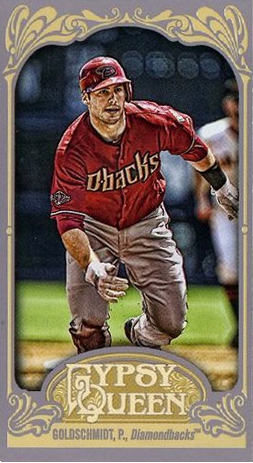 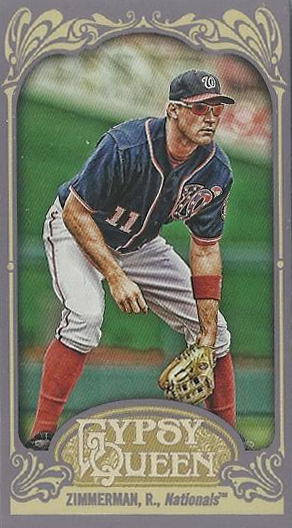 For the minis, Topps decided to go with a true alternate photo instead of adjusting the sizing. 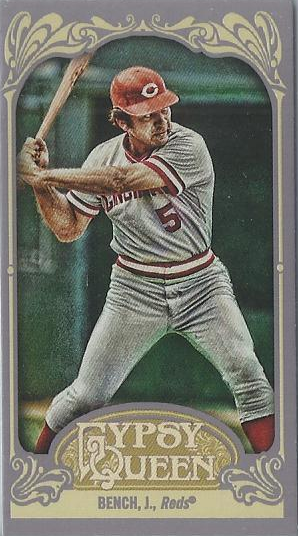 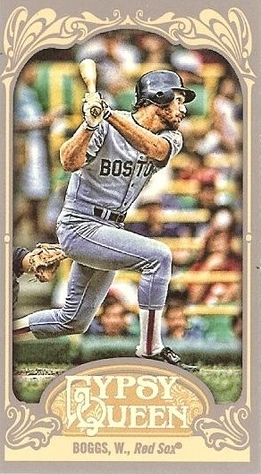 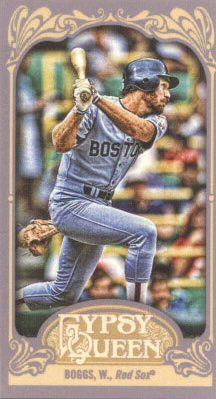 On the left is card #248 from the base mini set, Wade Boggs. 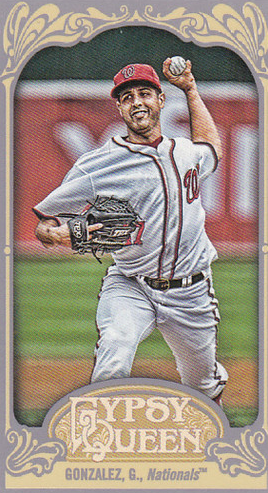 On the right is the mini SP Photo variation. 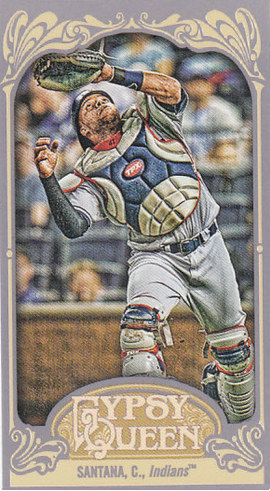 For the base set, the looser sizing was the SP, with the minis the tighter sizing is the SP. 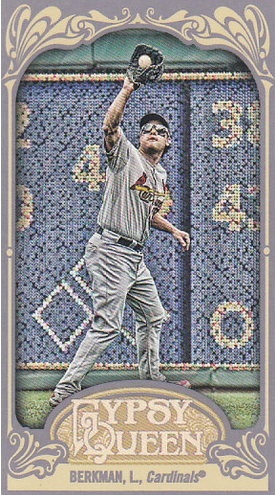 As a rule, if you can't see Boggs' shoe, you have the mini SP. 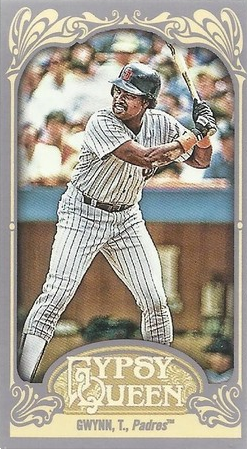 Just like with the base set, the differences between Tony Gwynn's cards are the most difficult to spot. 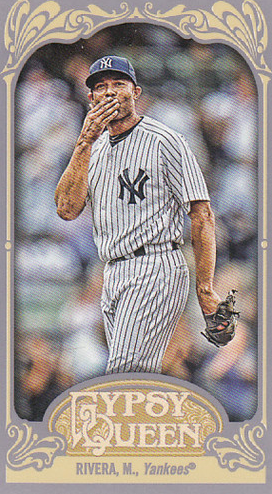 Both cards are number 252. 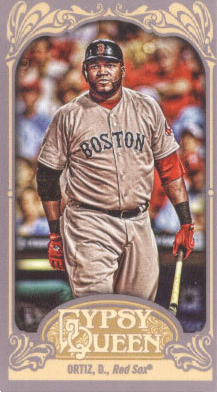 The Mini on the left is the base mini, and the mini on the right is the SP Photo variation. 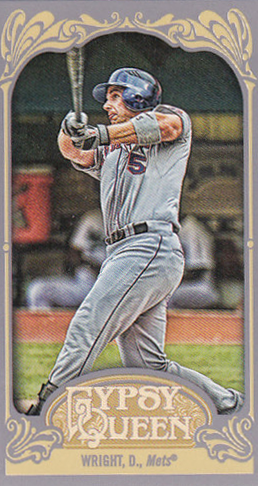 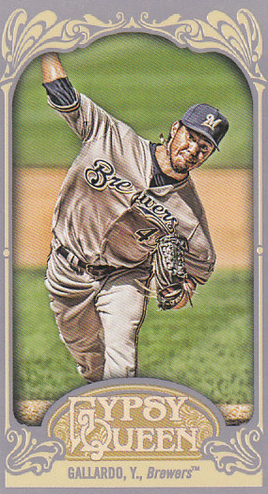 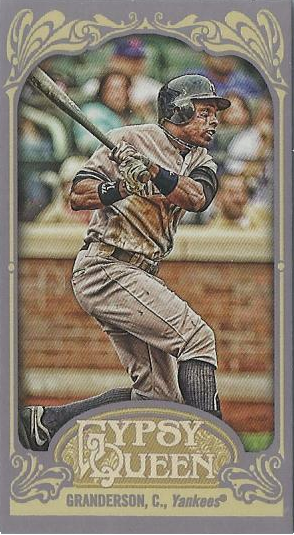 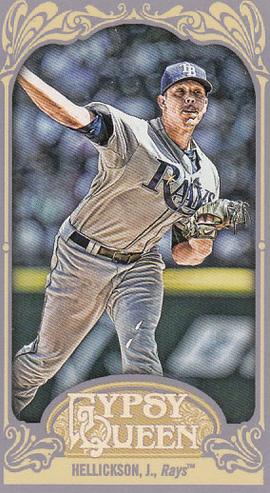 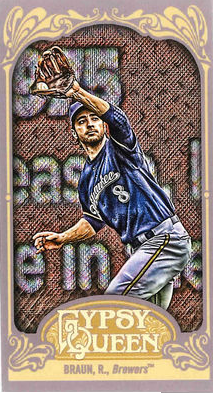 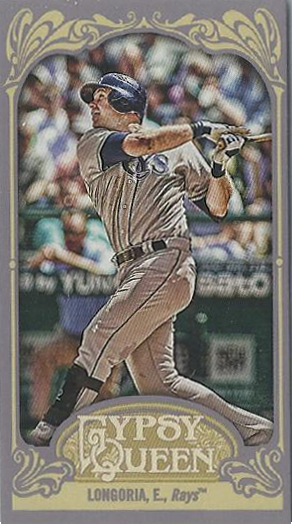 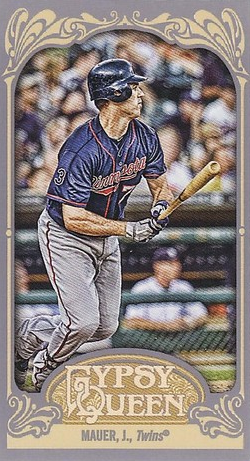 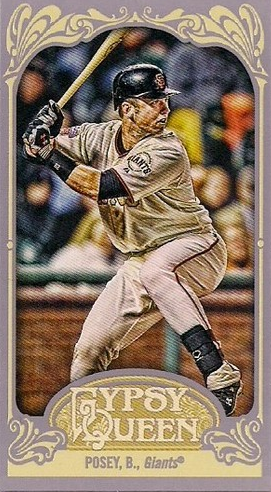 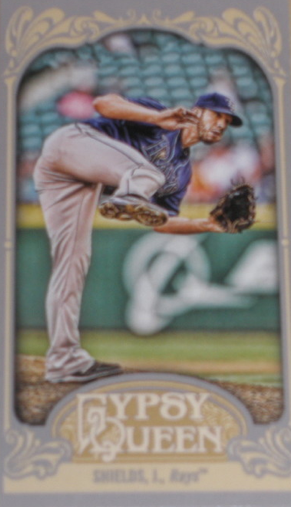 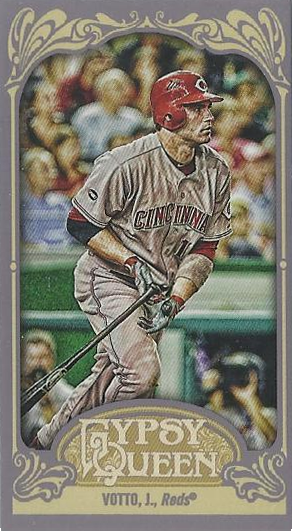 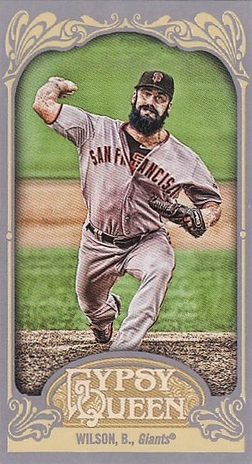 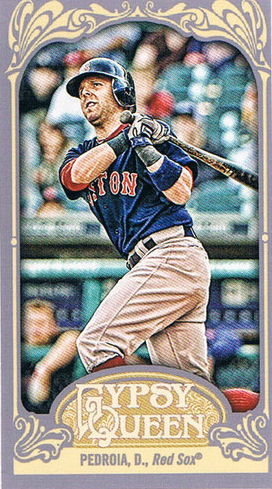 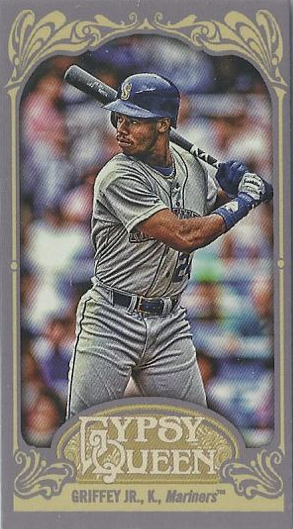 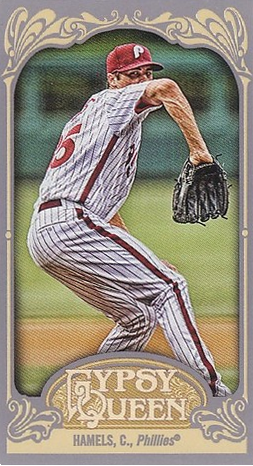 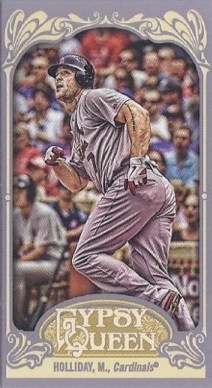 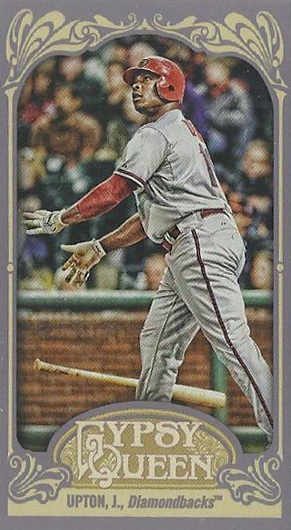 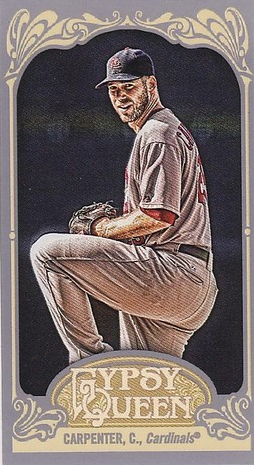 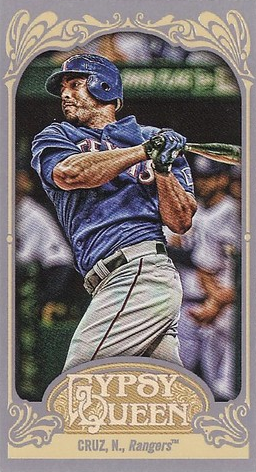 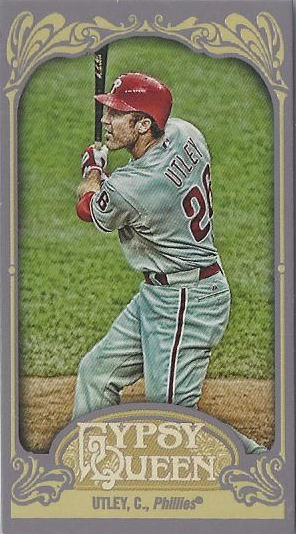 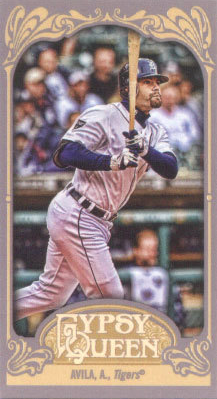 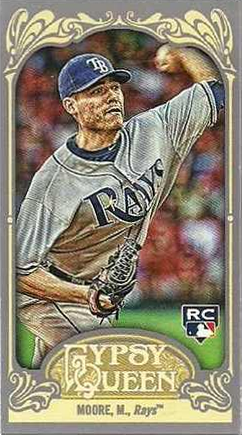 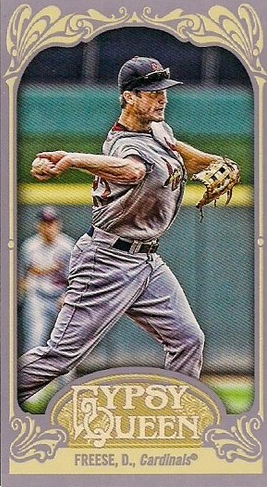 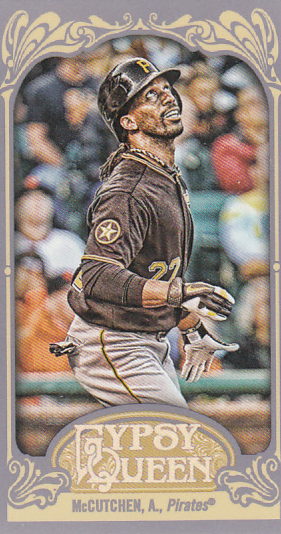 The only way to spot the SP variation is to look at the bottom of the card. 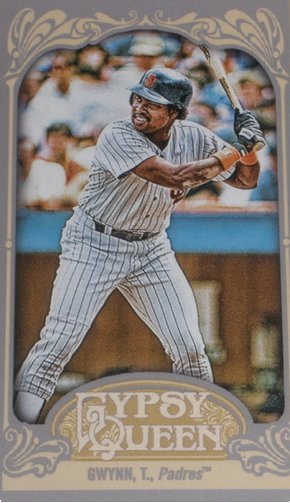 You start to lose the player in the dugout on the lower right and the border cuts Gwynn's back leg off at the knee instead of being cut off at the calf with the regular base set mini. 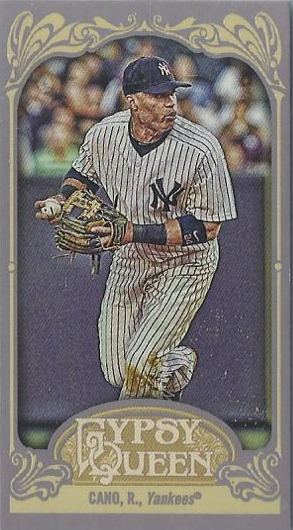 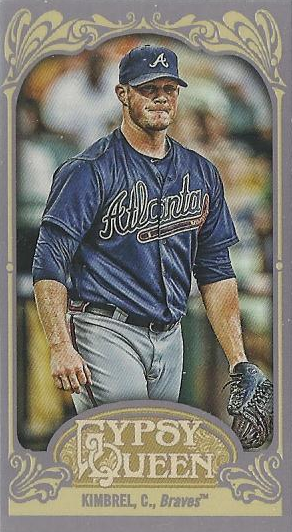 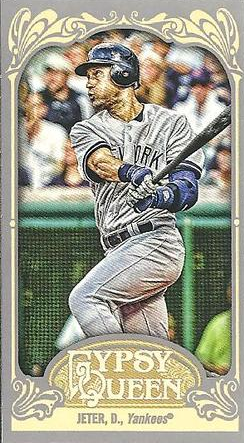 All the other mini SP Photo variations have greater differences so just like with our Complete Visual Checklists of 2012 Topps Heritage Baseball Color Swap cards and 2012 Gypsy Queen Base Set SP Photo Variations, I will only post the SP Photo variations for the rest of the mini short prints. 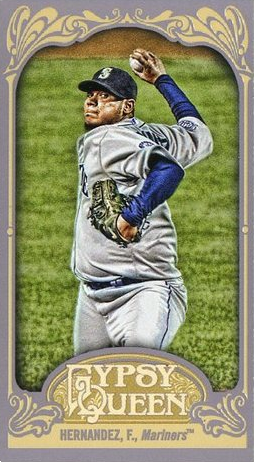 So if a card you have matches one you find here, you are the lucky owner of a mini short print variation.